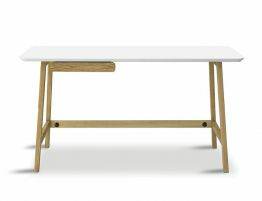 Looking for the perfect hall table in oak or modern oak accent table? 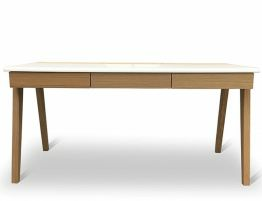 Bent Design Studio strikes just the right note with the Copenhagen solid oak console with shelf. 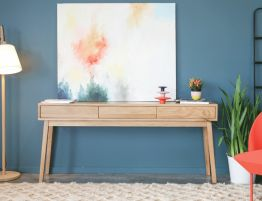 With Danish design as a starting point and on point modern design as a goal, Bent Design studio sought out to create a solid oak console table that works as an ideal piece for your modern entryway, the perfect hall table or even an accent table for behind your sofa. 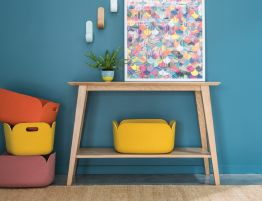 With solid oak construction, this modern oak accent table has a striking natural wood grain and expert construction. 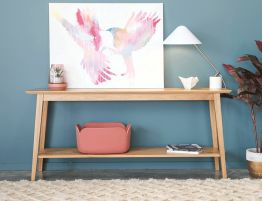 The Copenhagen hall table in oak offers the warmth of natural wood in a style that offers a bit more refinement than some traditional oak furniture pieces. 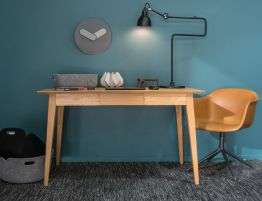 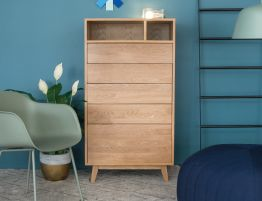 The Copenhagen modern furniture range captures the must have elements of the new modern design: organic inspired materials, simple, elegant styling and impeccable construction.